developed new concert opportunities in South America, principally Peru and Argentina. We watched in horror as the tragic events in Newtown, CT unfolded and never felt prouder of our colleagues in education and youth music! We know it has been another busy week for our Directors, especially those with choral programs as they stage their holiday season concerts. And we celebrated the news of the impending birth of a baby boy to one of our great Italian partners. 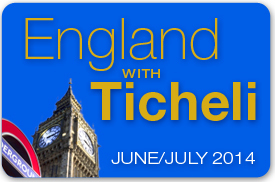 Perform with Frank Ticheli in London and as part of the International Harrogate Festival late June 2014! Bring your full ensemble or 20+ interested players and accompanying passengers (one complimentary package for every 20). This is truly a unique experience under the direction of one of America’s greatest, in a city steeped in history and mystery. All of those who reached out with concern during the fires here in Colorado Springs as well as for the safety of all of those still rebuilding on the East Coast after the Hurricane. There is much for us at KIconcerts to be grateful to you for! 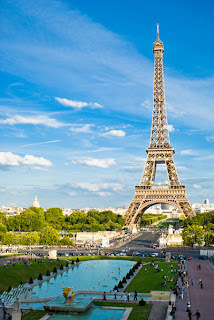 We launched the new Entrée Europe concert tours from $2300 including air fare from NY AND fuel surcharges – 8 X 2 city pairs across Europe for $2300 in winter, $2500 in spring and $2700 in summer including air travel and surcharges!! We hosted a visit by our partner in Puerto Rico to plan out the 2014 concert tour program in Puerto Rico. $2300 including airfare and fuel surcharges sees your ensemble performing in Europe. Welcome to a new world of travel to Europe…Entrée Europe! From $2300 in winter, $2500 in spring & $2700 in summer from New York gateway airports including fuel surcharges and travel taxes as they are today. At $2300 for winter travel (including the fuel surcharges and taxes) performing in Europe can be cheaper than touring domestically and to Hawaii - with far superior service levels and the once in a life time chance to perform in historic Europe! A full concert in each of two cities with one additional outreach or exchange style performance. We provide the canvass, you paint the picture. Bus transfers daily even on the days when there is free time to explore the city. 3 star + hotels – twin share - safe and comfortable. Usually within 30 minutes of the city center. Have a look at our budget tips for funding concert tours. Let us know what airport you would like your tour priced from and if there are any features you wish to have added and we will forward you a proposal to distribute to decision makers and potential travelers. Click here to contact us. 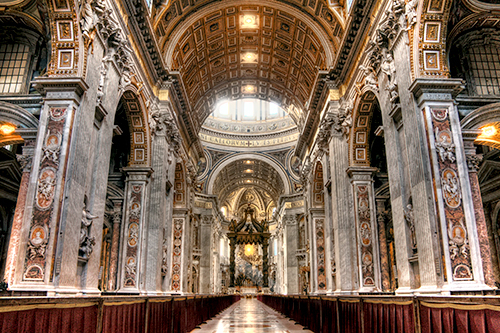 Join Joshua Habermann’s 2014 Passion of Italy Festival experiencing the local history and culture while performing individually and combining for a gala concert as well as the singing of Mass by the combined choir at St Peter’s Basilica in Rome. See Joshua describe the festival in his own words and view moments of the 2012 Passion of Italy festival choir singing Mass at St Peter's Basilica. Joshua is a natural music educator and a sought after clinician. See his biography for more information. He will ensure lifelong musical memories are created for all participants in the 2014 Passion of Italy. It is with great anticipation that I invite you to join me for a Festival of Choral Music in South Africa. The power of music to bring people together will be very much in evidence as we gather there in May, 2014. The vibrancy of the South African culture and history will provide a meaningful well from which you and your singers will draw a deep understanding of cultural exchange and musical collaboration. You will have the opportunity to gather with other choirs from the US, and to perform with and for singers from South Africa, building a global community in a brief window of time. The proposed program will include American and African music, with perhaps a Mozart Missa Brevis for the combined choirs. In addition we are offering a separate opportunity to sing the Brahms Requiem with the University of South Carolina and other choristers. You know the impact that international travel has on us and on our ability to appreciate and value other cultures. Consider the life-changing possibilities for your singers as they experience the beauty and warmth of a people that have struggled for freedom and prosperity in ways that many of us will never know. I wish to introduce you to the 2014 Chamber Choir Festival in Rome, Italy, featuring Antonio Vivaldi’s exuberant “Gloria” for orchestra and chorus! Our festival brings together one of the greatest works ever in one of the world’s most magnificent cities for a cultural and performance experience second to none. I look forward to sharing this unforgettable opportunity with you and your singers! Chamber choirs are especially welcome. Often, the opportunity to sing a major work for chorus and orchestra is only available to large groups. However, we know that some of the very best choruses are smaller, often numbering 60 or less. You might consider taking the opportunity to perform some or all the Vivaldi “Gloria” before coming to Italy for the festival. (The first two movements make a brilliant choice for your holiday concerts!!). The genius of the composer’s composition is that the Vivaldi “Gloria” is a major work that can be performed with far less than 100 voices, depending on the circumstances. 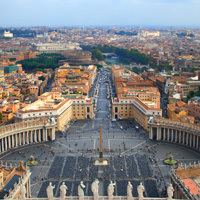 We hope our festival, culminating in June 2014, in one of the world’s most culturally and history rich cities, Rome, can be an exciting part of your 2013-2014 programming. Working on this amazing repertoire, perhaps even performing it at home with your own ensembles, will reward your singers with the wonderful exposure to the majestic sounds of voices combined with instruments, in one of the most timeless and thrilling works of all time. Be in contact with me regarding the music and with KIconcerts for touring information. I look forward to seeing you in Rome! 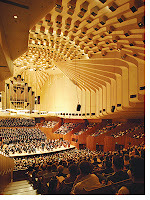 An invitation to sing at the Sydney Opera House! I am delighted to have the chance to invite you to consider joining me in Australia to sing in the 2014 Voices Across the Pacific Choral Festival in Sydney’s Opera House and my hometown of Brisbane. The festival will celebrate the work of contemporary composers from both countries Lux Aeterna by Morten Lauridsen and Honour the Earth by Australian composer Sarah Hopkins. I have often dreamed of combining the talents and spirits of singers from both continents and this is our chance to do so! Let me show you the Australia I know and love while you make new friends, create amazing music and become enchanted with the unique and fascinating land downunder! 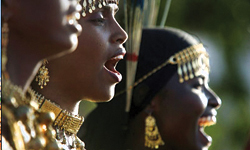 The 2014 Voices Across the Pacific Choral Festival will be an unforgettable musical and cultural experience. See you under Southern Skies in 2014. Exploring Your World of Music - destinations of your choice! Every director and every ensemble has different destination choices. KIconcerts knows this and caters for all wishes and opportunities. Classic destinations are perennial favorites such as England, Italy or Austria. Some prefer closer to home (and more cost effective) locations such as Costa Rica, Mexico or even Puerto Rico. Others are seeking pioneering destinations such as China, South Africa, Australia or even India – countries you know your musicians are less likely to travel on their own. Each offers its own amazing riches, culture and of course venues. Share your dreams and let us prepare proposals for you to consider. We can fly you to our Colorado office to plan the tour together. We can arrange conference calls with you, us and our partners in each of our destinations. Indeed our partners from overseas are often visiting us for meetings with directors (our partner in India will be in the office in mid November if you wish to explore this magnificent destination with us at that time). I want to invite you to consider joining the Ano Nuevo Festival I am leading over New Year 2013. The festival will bring fine singers together from around the U.S. to sing in the beautiful city of Barcelona – festival details. We invite full ensembles or groups of singers (and their friends) to join us for the combined gala concert and for individual concerts as you wish. December 28, 2013 will be a great time of year to travel, airfares are at their cheapest, the Mediterranean is temperate and we get to celebrate New Year's Eve in an extraordinary world city that is vibrant and colorful at any time of year! Indeed, I know people who love the city so much they use the name as an adjective to express the indescribable..."Barcelona." I will be shaping a program structure that will illuminate the gifts of each individual choir while crafting a gala concert which will be a joyous celebration of the power of singing together. It will be so exciting to have this opportunity to gather with friends, old and new, who love choral singing for this feast of music making. I look forward to exploring magnificent Barcelona with you. I would be pleased if you would consider performing with me in gala concerts and staging your own individual performances in England in 2014. I am honored to have been invited to present our finest musicians at the prestigious Harrogate International Festivals in early July 2014. In addition to the combined literature, there will be great opportunities for exchanges and local cultural immersion in Harrogate for your ensemble. The Festival starts in London with our rehearsals, sightseeing and individual concerts, in addition to the gala concert which we hope to stage at the magnificent Central Westminster Hall. We will explore this great city together as we make music on a scale seldom heard over there. This is my 3rd festival with KI. In 2008 I was commissioned by KI to write Angels in the Architecture in celebration of the festival being staged at the Sydney Opera house and in 2011 I was equally honored to lead 220 musicians in Rome to a stunning finale rendition of Vesuvius. give me a unique chance to share my music more intimately with your players. I know that international touring provides a huge boost to any program while being a considerable amount of work. Festivals offer a level of accessibility to smooth the way and KIconcerts is able to support you throughout the planning process. Please be in touch with me if you would like to cover any of the musical issues and with KIconcerts for any information on the practical arrangements. Come to Austria to perform in a program that I have selected for our gala concert in Salzburg. Is there a greater place on earth for fine choral music than Vienna or Salzburg? These are my favorite cities in the world! 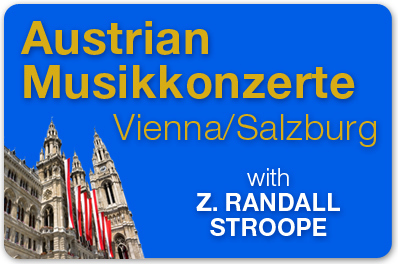 I hope there may be a chance for me to share them with you as we share our music with Austria. 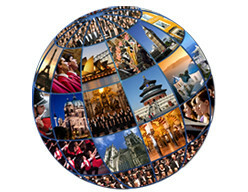 KI presents 17 fine ensembles in London over the next two weeks performing at various sites celebrating the Olympic Games: Olympic Park, London Live venues, at the Olympic Sailing competition, Westminster Abbey, Canterbury and Southwark Cathedrals with one even performing outside of the Palace. We wish them luck and safe travels for this great adventure! Join Bruffy in Berlin, Stroope in Austria, Gackle & Wyatt in Italy, Habermann in Costa Rica, Hella Johnson & Kennedy in Spain, Dilworth in France, Willcocks in England. Leck in Austria, Buchanan in Australia , Apfelstadt in Ireland, Hella Johnson in Spain, Ticheli in the UK (choir & band), Habermann & Stark in Italy, Walker in South Africa, Dickson & Meidl in Germany. CUSTOM TOURS are our other great specialty and we are working with so many fine ensembles for their 2013 & 2014 custom tours being staged all over our world of music. KIconcerts is proud to announce that Joshua Habermann will be leading the 2013 festival in Costa Rica which will be held from April 1, 2013. 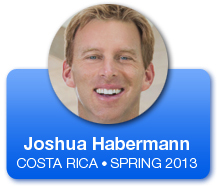 I am excited to be leading the Spring into Costa Rica Festival. Costa Rica is truly a land of beauty and warmth, a culture rich in music and history, a people hospitable and welcoming. In addition to the option of performing individually and having exchange concerts; ensembles will have the opportunity to come together to sing in the festival choir. The slated repertoire for the festival choir is eclectic, and will include both American and Costa Rican pieces that have been specifically chosen to reflect the heritage of the singers, and the beauty of the Latin American culture we will experience. I hope you will join us in Costa Rica! Costa Rica is one of the most affordable 'closer to home' international destinations - with natural wonders, unique flora and fauna as well pristine beaches, stunning volcanic formations and commanding rain forests. There are numerous gateway cities from the US enabling the $2095 price to be offered to many - fuel surcharges and air travel related taxes are around $300 per person in addition. lead a KI festival in England! I would be honored if you would consider touring England next year as we present individual and combined concert options for participating choirs. I will be conducting the combined choir in my composition of the Pied Piper of Hamlin in both Bristol and London. England will be firmly in the mind of the world as London hosts the largest cultural and sporting program this year – the Summer Olympic Games. The Royal Wedding and the Queen's Jubilee anniversary, also this year, remind all of the joyous pomp and circumstance for which England is renowned. In addition to our individual and combined gala performances will be the opportunity to perform alongside English choirs in shared concert settings. This is always the best way to get to know 'the locals'. You may want to extend your visit to Scotland or Wales, or perhaps explore Oxford, Windsor, Stratford on Avon and many other of our most charming destinations. Full choirs and groups of singers are welcomed. Accompanying passengers are well looked after with parallel programs during rehearsals. Please feel free to be in touch with me or Kevin Meidl about musical matters and with KIconcerts about the touring aspects of this unique festival opportunity. to lead a festival in Berlin, Germany! Join me in the Berlin Dom to sing the Peter's edition of the Brahms Requiem. Opportunities for full choirs and smaller groups of singers to join in the combined choir!!! an invitation to lead a festival in Spain! 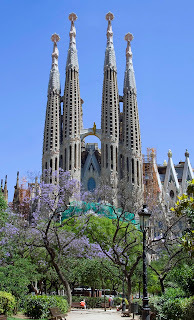 Tour the amazing country of Spain! 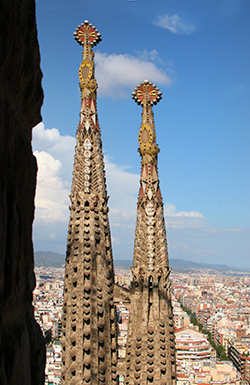 Spain's history, culture and music enthralls visitors. The food, architecture and vistas stimulate the senses while its great love of band music makes it the perfect band destination. Let me introduce you and your musicians to the Spain I know so well. 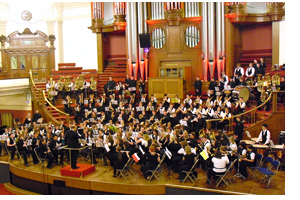 Bring your entire band, or choose to bring a group of your musicians to perform in the combined Festival Band. Join us for this unique chance to perform memorable music and soak in centuries of history! an invitation to lead a festival in Italy! "Consider joining us as we present the finest young female singers, performing the greatest literature in some of the most recognizable venues in the world. Cantare Roma is a festival solely for high school- and college-aged women who sing! JOIN us as we celebrate beautiful music as singers, with appreciative audiences. 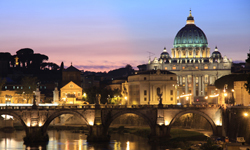 EXPLORE with us the secrets and the history of Rome. CONSIDER extensions to sing in Florence and/or Venice. an invitation to lead a festival in France! Opt to pay homage to the fallen in Normandy. For all of us there is a shared romance associated with France. High culture, top fashion and an appreciation for the arts. Let's venture together - either as whole choirs or groups of singers - to this wonderland making memorable music and soaking in centuries of history! 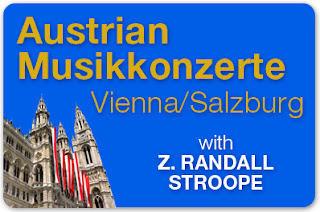 KIconcerts is honored that Z. Randall Stroope has accepted an invitation to lead the Austrian Musikkonzerte Festival! "Come to Austria to perform in a program that I have selected for our gala concert in Salzburg. KIconcerts is honored that Rollo Dilworth has accepted an invitation to lead a Festival Choir in France! As Rollo Dilworth says: "I plan to highlight the works of both North American and French composers, including Eleanor Daley, Rollo Dilworth, Maurice Durufle, Morten Lauridsen, Donald Patriquin and Francis Poulenc. I am arranging for us to meet and collaborate with local choirs and you will also have the opportunity for individual concerts if desired. I trust you might consider your choir joining us for what will be a richly rewarding musical and cultural experience!" Sicily is an island like no other – intimate, boasting a unique history, people and cuisine. Tour Tuscany, marvel at what is left of Pompeii, glide along the Amalfi Coast and consider crossing the Alps to Vienna or Prague. Our festivals welcome full choirs or partial choirs, perform in the gala concerts, present your own optional concerts and enjoy exchange programs. Italy calls to all singers at least once in their lives. If the time is right to start planning your forthcoming performance tour to Italy, then contact us now. maybe start in Munich or end in Prague. There is no greater concentration of charm and music perhaps anywhere in the world. Our custom tours offer concerts, exchanges, the option to sing Mass, the Sound of Music tour and the chance to experience the grandeur of Viennese life. 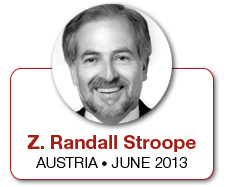 Randall Stroope leads our 2013 Austrian summer festival. A stunning composer, inspirational festival leader and great bridge to the history, culture and music of the region. Bring a full choir, bring a partial choir, perform in the gala concerts, present your own optional concerts and enjoy exchange programs. If Austria is where your heart is heading then be in touch with us for proposals and tour outlines. My father was from Vienna, our European operations are headquartered there. No-one knows Austria better than KI! KI is honored that Charles Bruffy has accepted an invitation to lead a the Festival Choir at the Berliner Dom (tbd). "Berlin! One of my favorite cities in the world, and hopefully soon, one of yours as well. The Berliner Dom, the Brandenburg Gate, the Gendarmenmarkt... the currywurst! A city with a history that changed the world, a culture that inspired generations and a future. The Berlinerdom was built as "the protestant counterpart to St. Peter's Basilica of Rome". It is an extraordinary building, and the perfect place for us to stage what is arguably the finest choral work of all time, the Brahms Requiem. Berlin is gateway to many other fascinating cities in Europe, and your chorus will have the chance to stage individual concerts as you wish. We all love nothing more than to create music worthy of our talent, honoring the literature and in places and spaces for which it was written. Please join me for what is sure to be a memorable and remarkable performance opportunity! Berlin, summer 2013. Concert bands, marching bands, jazz bands…bands of quality are invited to represent the United States at many events around the world. 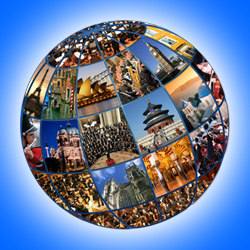 Great custom tours are also offered to any of the various destinations KIconcerts serves on 4 continents including: Europe, (for instance Italy, the UK, Austria, Germany, Spain, France), Australia, China, India, South Africa, Brazil, Costa Rica. Winter is the most cost effective time for traveling to Europe – from $2500* per person. KIconcerts is proud of its long and preferred relationship with the World Association of Marching Show Bands. Check us out on Facebook for further information about KI and any of these outstanding events as well as our custom tour offerings in a destination of your choosing. The Rome Festival for Young Women's Voices - Cantare Roma! KI is honored that Dr. Lynne Gackle has accepted an invitation to lead a festival of young women's voices in Rome. As Dr. Gackle says “The very mention of this beautiful city conjures up thoughts of beauty – music, art, architecture and a history thirsting for us to come in touch with it. This is the center of a culture that influenced the world! I am excited about the possibilities of this festival and hope that you will consider this opportunity for the young ladies in your choir. We hope you will consider joining us in Rome in June of 2013 for this very special choral festival especially designed for young women –Cantare Roma! Through rehearsals, we will explore some of the great choral literature written especially for women's voices from the past and present! In addition to making beautiful music, we will have the opportunity to perform in some of the world's most beautiful venues while creating friendships with other young women through song." Spero di vederti presto! Ciao! The World Association of Marching Show Bands invites your band! Fine Marching Bands invited to represent the US at prestigious competitions and festivals presented by the World Association. These feature great venues perfect for marching bands, large and enthusiastic audiences, bands from all around the world to teach and learn from, a variety of performance opportunities as well as the Championship itself. International opportunities of this caliber are rare! The annual 2012 Rastede Concert and Marching Band Festival in Germany is held at the end of June into early July every year. This is a World Association sanctioned event (not a World Championship). Enjoy the camaraderie and fellowship of this friendly community event prior to visiting other cities or countries in Europe. The World Championships for Marching Show Bands is held in a different part of the world every year. KIconcerts is proud of its long involvement with the World Association and looks forward to presenting the finest US marching bands in these international events. Further information on festival touring information as well as custom tour opportunities from Oliver@KIconcerts.com. Information on the competition rules and further information on the World Association of Marching Show Bands from info@wamsb.org. We are thrilled to announce a new role at KIconcerts, Director, International Programs. Kelly Sparks has been appointed with a view to further strengthening our relationships with our Directors and Conductors. Kelly, who has 20 years experience in sales and marketing, will be working closely with Oliver to liaise with you as you plan your performance tours of the future. KIconcerts is proud of its custom tour offerings. Custom tours allow for travel to so many of the great destinations around the world and can be tailored precisely to the needs of every individual ensemble. Berlin, Rome/Florence/Venice, Paris, Barcelona, Vienna/Salzburg, Prague, St Petersburg, Tallinn and so many extraordinary towns, villages and communities in between. England – London – the jewels in the crown, Stonehenge, Oxford/Cambridge, Windsor, Canterbury, York – Cathedrals, the underground, the Royal pageantry, Westminster/ Big Ben - pomp and circumstance. Wales, Scotland – dialects, traditions, communities that beckon. Johannesburg, extra-ordinary SOWETO, Pretoria, GAME PARKS!!! A Rainbow Nation finding its way…pioneering exchanges, common ground through music, shared futures. 5000 years, mysterious, opaque yet welcoming and important. Music recognizable - music unique. Forbidden City, Forbidden City Concert Hall, perform on the Great Wall, Shanghai – Asia’s New York, Xi’an Warriors, Hong Kong. New Worlds, new people, 50,000 years of indigenous existence in Australia; the Sydney Opera House, The Great Barrier Reef – visible from space, the Rain Forrest tiny organisms over millions of years, sky rail swooping over the canopy, Tjapukai Aboriginal welcome. New Zealand; Land of the Long White Cloud , 2 amazing islands. Shooting geysers, bubbling mud, glaciers, snow and a South Pacific population proud and resilient. A central American paradise. Welcoming, national concert hall, cathedrals, natural wonders – volcanos, rain forests, pristine beaches. Perform, exchange and share. A pioneering destination. A land of sensory excitement, fine venues, great audiences and a desire to connect to other styles of music. Dynamic, young, cultures, contradictions – a tremendous past and future worthy of your attention and beckoning your performance. Choose when to travel; cheapest into Europe over winter, explore the Southern or Northern Hemispheres in Spring before the peak season, travel in summer when the days are long and everyone has holidays. Or just pick a holiday week, Thanksgiving, Easter, President’s or Martin Luther King Day or a week with two weekends when no-one else is travelling. Perform as much as you choose. Tour as much as you please. Leave as much time as you wish for your people to explore these new lands, sounds and tastes. Go big – the premium city halls, go intimate and perform to full houses in smaller towns, make your mark and perform at St Peter’s Basilica or bring an audience of 2000 to their feet at the Sydney Opera House. It’s your tour…its your choice. Talk to us about your touring aspirations. Let us prepare proposals and tailor the tour to your specific needs. Custom tours – customer’s tours!